With the Internationals currently providing a break in Premier League action, it won't be long until we're jumping straight back into things with what is surely set to be one of the more noteworthy fixtures of the season. Both teams will be looking to claim a top tier scalp and use that as a springboard, going forward. Liverpool have had something of an uneven and faltering start to the season, and so will be eager to show that they that can put that behind them. Their 4-0 masterclass against Arsenal at the start of the season impressed many, but it was swiftly followed by a 5-0 drubbing to Manchester City, though admittedly Liverpool did get a player sent off early in the match. Manchester United on the other hand may well see this as a good chance to stake an eventual claim for the top of the table, by dispatching of a higher quality of team than some of their early season fixtures. 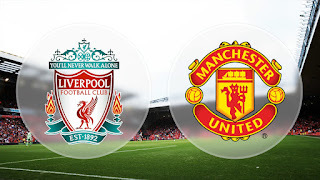 A number of factors make this game a potentially less predictable affair than current form and odds of winning the league suggest (Man Utd are currently 3-1 to top the table vs Liverpool at 33-1). For one, Liverpool have a home advantage, which often brings out the best in the team. A more immediate issue though, for both teams in fact, is that a number of players will be dealing with fatigue from Internationals - or worse. For United Fellaini has already been ruled out of the game, due to picking up a knee injury in the Belgium game. Pogba is also out. Jurgen Klopp's side have also had their fair share of Internation action, with 11 of the 18 players in the Newcastle game having been called up for International duties. This all adds up to an unpredictable game, and that's factored into the odds. Currently Liverpool are 8/5 to win the match, Manchester United are 13/8 and the Draw 12/5. That's one way of saying that betting wise this game is seen as something of a 'crap shoot'. With no shortage of goals under their belt I can see United scoring, but also think Liverpool will be desperate to put up a good fight at home. It's a difficult game to call, so I'm inclined to go the speculative bet route just to have an interest. Therefore I'll have a small bet on Manchester United/Liverpool 30-1 and Liverpool/Manchester United 35-1 HT-FT results. Here's hoping for an unpredictable and action packed game. Enjoy the match! Crystal Palace to Stay Up – Yay or Nay?